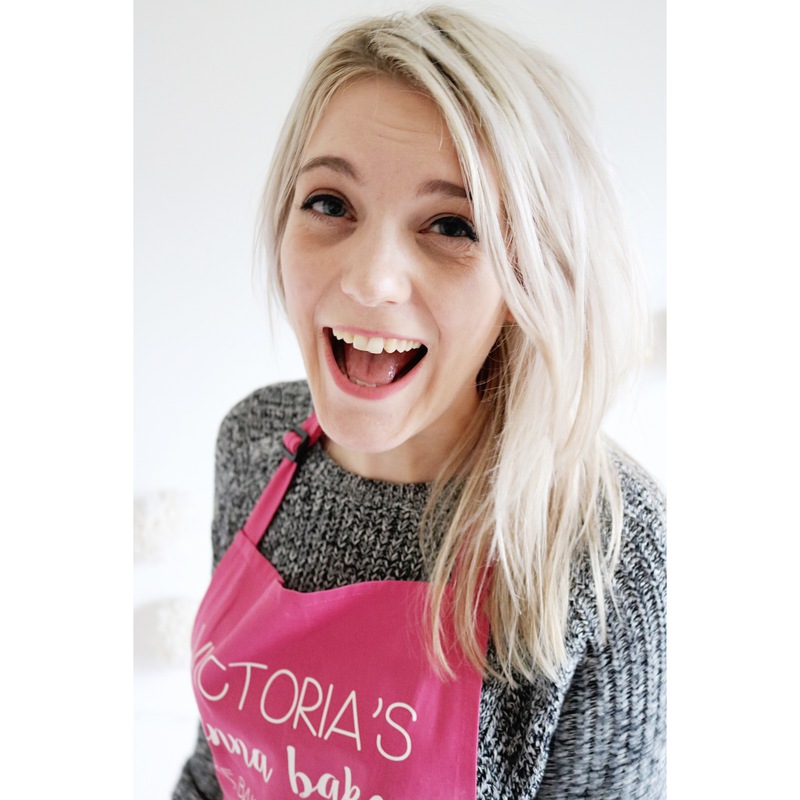 Why the frick do you all recoil in horror when I mention a courgette cake? I haven’t a precise date for when I first made this cake, but it has been a firm favourite for a good many years. 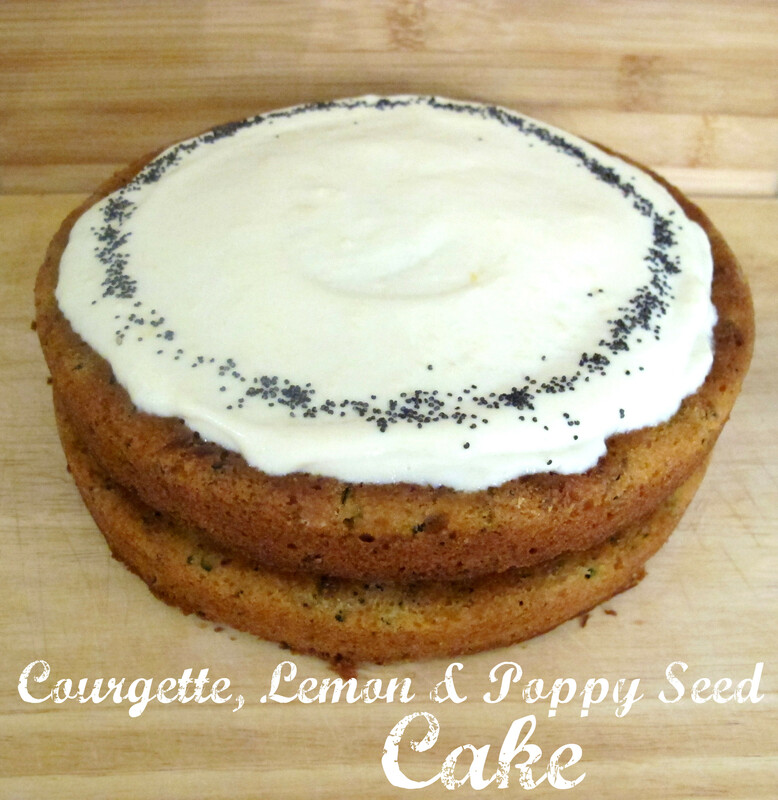 The moisture in the courgette makes this cake very soft, helping it keep for days. In fact I baked this cake two days before I presented it and it still maintained a soft crumb without going stale. Not that if it sat in the house it would go spare I hasten to add. I think what is so perfect about this cake is that there are so many stages, but that they can be broken down into manageable chunks. Squeezing the moisture from the courgettes and letting them dry gives your arms a good workout for 10 minutes. Folding the mix together then baking takes another hour. Then a tart lemon drizzle to steep into the cakes, and finally finishing with a smooth creamy icing that completes the whole cake perfectly. It may be slightly rustic and unfinished looking – a ring of poppy seeds sorts that crime out – but the first slice reveals a speckled cake filled with forest green flecks of courgette. Perhaps that is the mystery of this cake’s changing appeal, a sort of shudder-inducing idea of eating your greens enrobed in a classic sponge. If that is the case then pass me another slice, I want more of my five a day. Preheat an oven to 180oc/160oc fan/Gas Mark 4. Grease and line two 20cm sandwich tins and set aside. Coarsely grate the courgettes onto a clean tea towel then gather up and squeeze as much water as possible from the vegetables into a sink. You need to be firm at this stage, otherwise the batter will become too wet and the cake soggy. Unravel the tea towel and pat the shredded courgette to remove any surface water. Ideally leave to air dry slightly as you weigh the other ingredients. 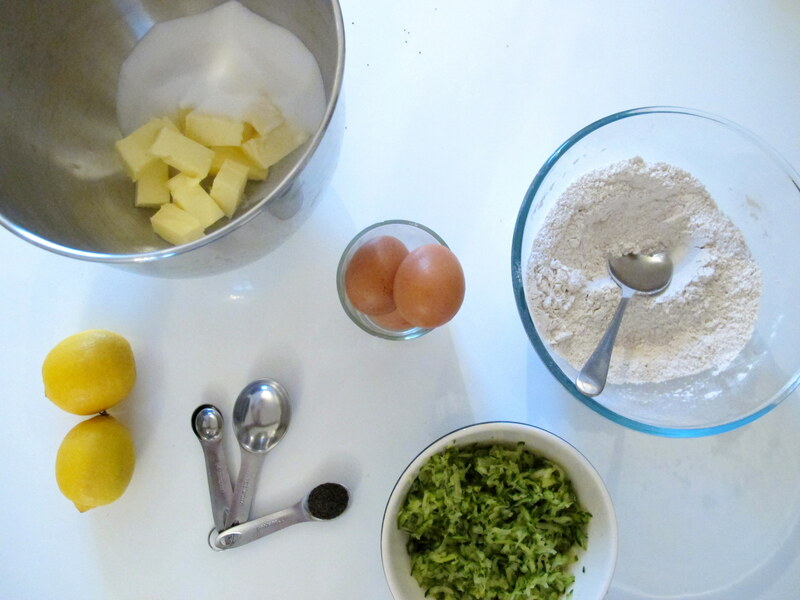 In the bowl of a stand mixer or using a hand held whisk, cream the butter and sugar together until thick and creamy. Beat in the eggs one by one until fully combined. The mixture may split a little at this stage but the flours will bring it back together. 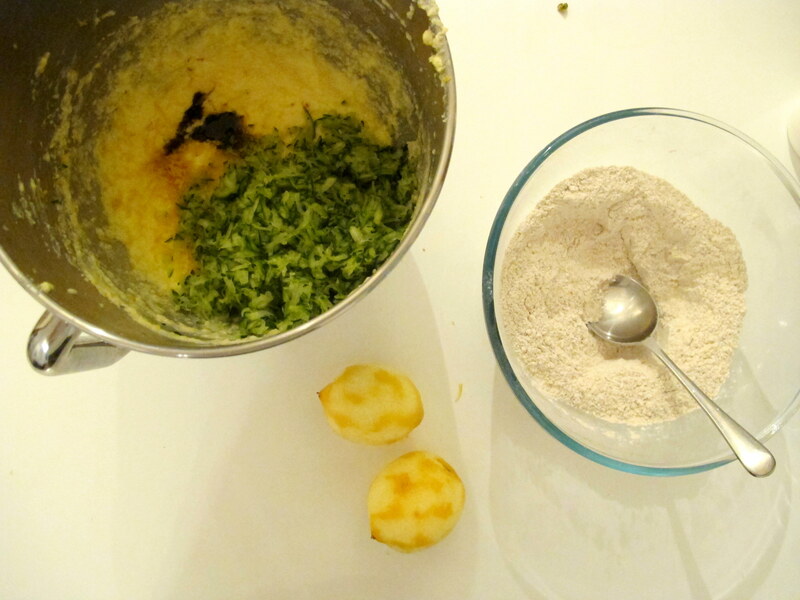 Add the dried courgettes, vanilla paste, lemon zest and juice then stir to combine. 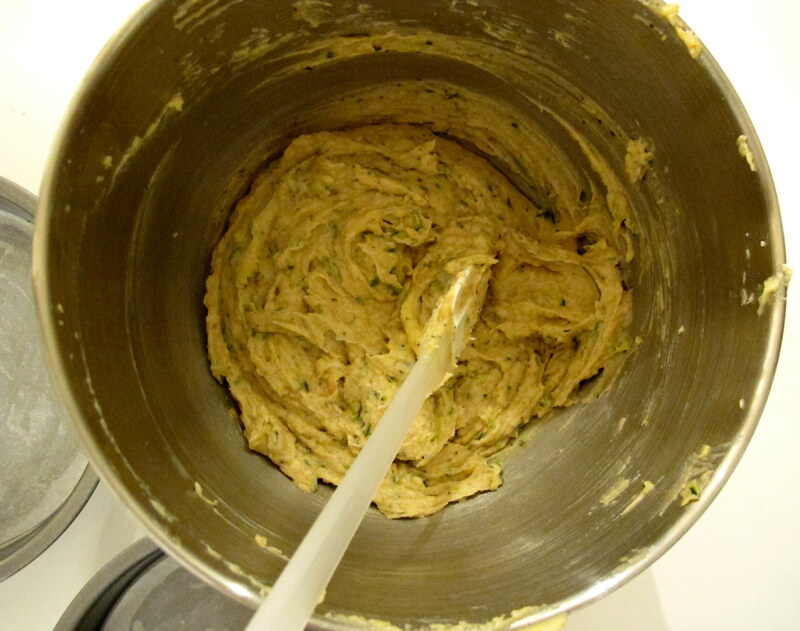 Whisk together the flours, poppy seeds, baking powder and salt then add all at once to the wet mix. Fold in carefully then divide between the two cake tins. Bake in the oven for 25-30 minutes until golden brown and a skewer inserted in the middle comes out clean. Once the cakes have cooked, leave to cool in the tins for 10 minutes then turn out onto a wire rack. Remove the lining and prick with a fork all over. Whisk together the drizzle ingredients then paint over the cakes using a pastry brush. Leave to cool completely. To make the frosting, whisk the butter in a stand mixer or with a handheld whisk then add the sugar and beat until creamy. Add the lemon zest and juice and the cream cheese and beat until a runny icing has formed. Although it may seem rather drippy, the lemon juice will set the frosting so don’t be tempted to add extra sugar. Add 1/3 of the icing on top of one cake and spread evenly across. Place the second cake on top then smooth over another layer. As the icing can be quite wet, I tend to do this in layers rather than all in one go to give the frosting time to set. Once you are happy, decorate with poppy seeds then serve. 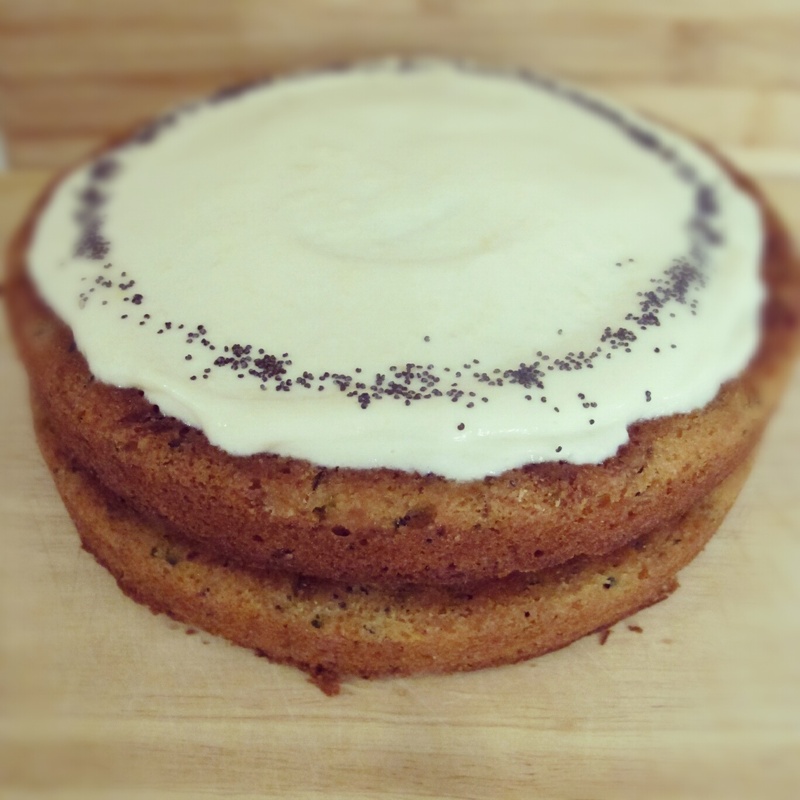 Courgettes are great in cakes – I’ve never bothered to squeeze the water out though. I love to get vegetables into cakes.